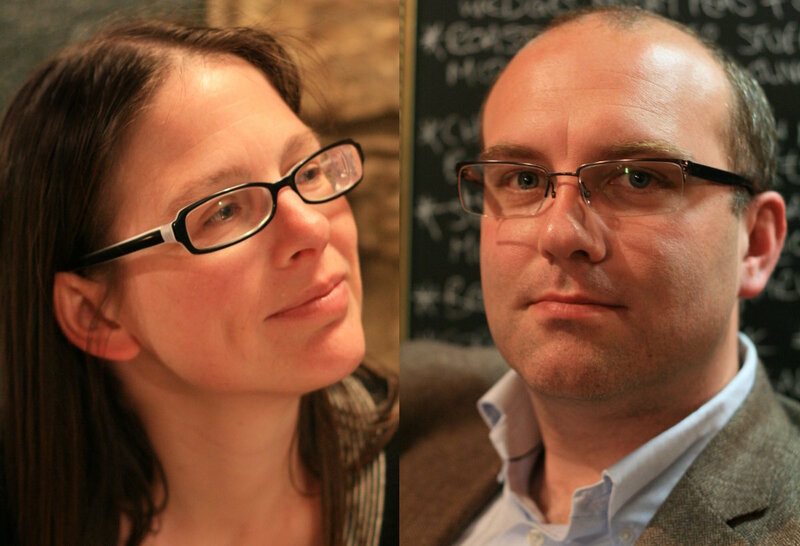 Jessica and Ray, the people behind the Boak & Bailey Beer Blog. Why do you do it?/What makes you keep writing if you’re not getting paid for it? These days, it’s partly about HEY GUYS YOU HAVE TO SEE THIS! – that is, highlighting things that help understand where beer is at and how it got here, whether it’s something we’ve observed in the pub or an old article we’ve dug up in the archives. We’re the kind of people that, in the past, have edited Wikipedia, contributed as ‘‘experts’’ on forums, and other activities for which there is no real reward other than the sense of having improved access to knowledge, and perhaps some mild ego-stimulation. There’s also a substantial degree of self-expression: blogging helps us get things off our chests. No-one we know in real life is *remotely* interested in hearing us pondering aloud about the origins of golden ale, or some minute detail of BrewDog’s business arrangements, so we have to release the pressure somewhere. We have day jobs and, increasingly, paid beer writing and consultancy work. We’re also working on proposals for a follow-up to our 2014 book Brew Britannia, which will probably be about pubs, once we’ve worked out an angle that gets a publisher excited. We live in Cornwall and so spend as much time as possible out on the coast path — it’s a great way to build up a thirst. RAY: I’ve got a soft spot for a piece we wrote in 2012 about an imaginary pub which treats traditional brown bitter with as much reverence as craft beer bars handle IPA and gose. It was a bit silly, but it was an interesting thought experiment, and got people talking. JESSICA: For me, it’s this piece we wrote about our visit to Southwold in Suffolk – it’s about the landscape as much as the beer and it’s got a personal importance for me. We wrote a whole post about this but if we had to choose one tip it would be to keep seeking fresh input: read, visit new pubs and drink interesting beers. Neither, really, but we do find it useful. It describes a cultural phenomenon in a snappy way and, among friends, can help the conversation along. ‘Why not just say ‘‘good beer’’?’ Because not all of what we’d consider craft beer *is* good – it’s about its place in the market as much as the intrinsic quality of the product. That there’s still so much to discover, even discounting the constant flow of new breweries and beers. We’ve been writing about beer one way or another since 2007 and yet there are still classic pubs we’ve never visited, and famous breweries whose beers we’ve never tasted. We only had the legendary Batham’s Bitter for the first time last year, which was kind of embarrassing. We probably haven’t yet tasted, say, five of our top ten beers of all time. People who have lots in common with each other – they’re all obsessed with beer – beefing with each other online. There’s nothing wrong with disagreeing but why people have to be such arseholes about it, making it personal, is a mystery to us.